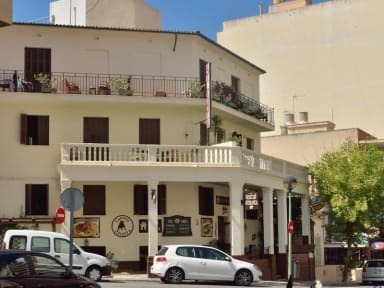 Hostal Atlanta i Palma de Mallorca, Spania: Bestill nå! Welcome to the Hostal Atlanta , a newly re furbished hostal in the heart of Arenal.Here , we offer a much higher standard than normally available in this price range- offering fabulous value for money . Combined with its great location, high standards of cleanliness and the friendly team, the hostal has everything you need for a perfect stay in Mallorca. 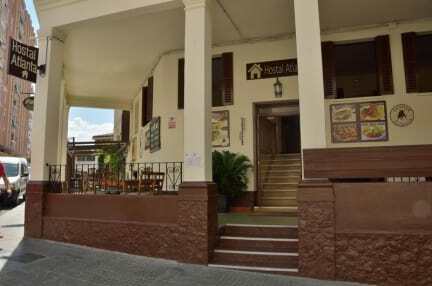 Hostal Atlanta is only a ten minute drive from the airport, in the lively resort of Arenal,with its vast array of bars,restaurants and night clubs. Less than a five minute walk will take you to playa de Palma beach, a blue flag beach that stretches for 4 miles, with an attractive promenade to stroll along . Nearby attractions include Palma aquarium, Aqua land water park(walking distance), Palma de Mallorca cathedral, the caves of Drach and many more . Trips can be easily arranged by the Atlanta team or the tourist office situated right in front of the Hostal. Finding us is easy - we are straight up the hill from the marina in Arenal. If you are coming from the airport we are less than 10 minutes away by taxi.